Are you looking for someplace to go to watch fireworks and have a little fun along with them? You could go to the local community center or drive to a near by city that has fireworks displays and the come home that night; but it is a short lived thrill. Why not take a long weekend and have even more fun with your thirst for fantastic fireworks and summertime adventure. The July 4th holiday for 2012 is on a Wednesday, so there are two weekends and the week in between to extend that fireworks fun! 2:00 pm -5:00 pm - Midnight Riders performs a FREE concert at the Ellicottville NY downtown Gazebo as a kickoff to the Thursday night Gazebo Series. 9:45 pm - FIREWORKS spectacular at the Seneca Allegany Casino (Rain date: Tuesday, July 3 ) Add a spark to your holiday weekend with the best fireworks show in the region! Free and open to the public! 7:00 pm - Ellicottville Championship Rodeo at the Sommerville Valley Stables (Click for Tickets) FIREWORKS after rodeo! In addition to the fantastic events planned; local pubs and establishments have live entertainment throughout the village. There are over 12 bands performing over the weekend, including ones at the Gin Mill and Balloon's Restaurant. As usual, there are plenty of unique stores, restaurants and shops to visit throughout the village. Stop by for a scoop of ice cream at Katie's Cafe or grab some homemade candies at Watson's Chocolates. There is a full line of restaurants the serve quick sandwiches, salads and soups to gourmet restaurants for a full sit down lunch or dinner. The town also has the Ellicottville Winery and the Ellicottville Brewing company to taste some local handcrafted wines, beers and ales. The winery is releasing the new EVL White wine this summer, so stop by for a tasting. Play a few rounds of golf at one of the fantastic golf courses, pack a picnic for one of the parks or check out the Sky High Adventure Park. 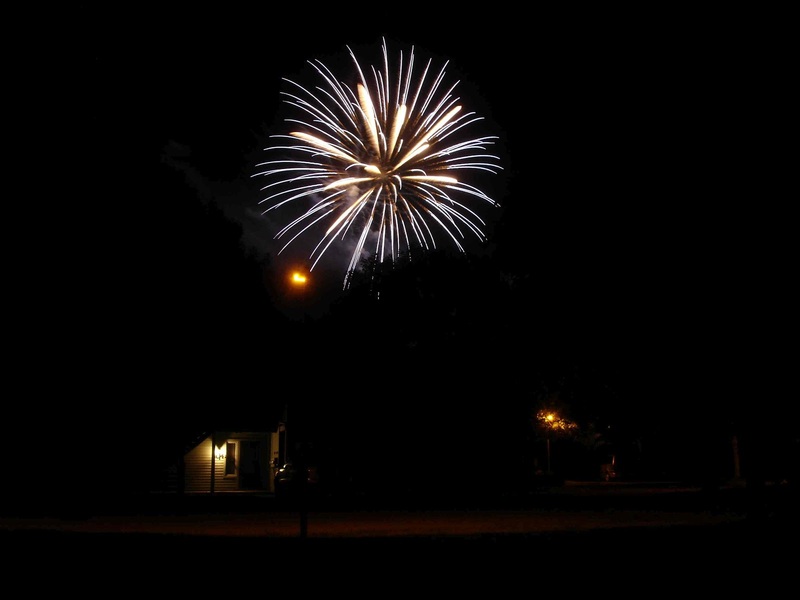 Catch all of the great fireworks in Ellicottville, Salamnca and at Quaker Lake in the Allegany State Park; all within 20 minutes of Ellicottville and on different nights. Some people say that the fireworks are the main attraction during July 4th weekends; but in Ellicottville there is a full lineup of fun to make weekends complete for the entire family. Do you need lodging? 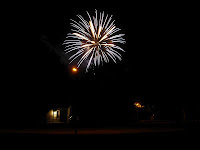 Visit http://www.rustedwindmill.com/ to plan your fireworks getaway!